by Nancy O'Connor Ph. D.
Letter Therapy is written for those who have suffered emotional, physical, and/or sexual trauma. 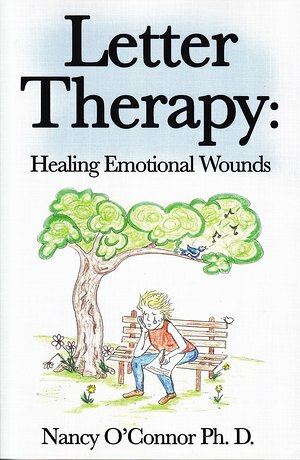 Written by a therapist who has 25 years of working in the field of counseling, the book relates her strategy of using written (but not necessarily) letters for healing. This 117-page book, with twelve chapters, explores the process of writing healing letters and gives examples of letters her clients have written to parents, mothers, fathers, spouses/lovers/partners, children, grandparents ,grandchildren ,and siblings. the final chapters are about the tools of recovery and making a decision about whether or not to confront the offender. The book ends with a ten-step process which she calls a "Bill of Rights" regarding the rights of people have in setting boundaries, letting go of past wounds, and nurturing the self.